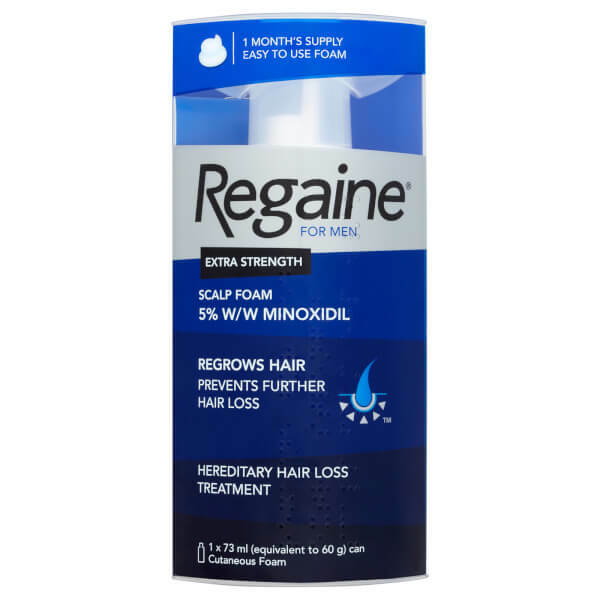 Combat the effects of hair loss with the Regaine for Men Extra Strength Hair Regrowth Foam; an easy-to-use treatment developed for men with thinning hair. The treatment utilises Minoxidil, a coveted ingredient that stimulates and supports healthy hair growth by increasing the bloody supply to the hair follicles. As a result of this, existing hair is strengthened and secondary hair growth is encouraged. Ideal for those with a family history of hair loss, or people suffering from thinning at the top of the scalp, the potent solution works tirelessly to prevent further loss, whilst encouraging healthy hair growth in men from age 18 to 49. 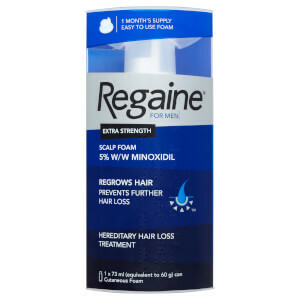 Designed to be massaged into the scalp twice a day, the Regrowth Foam will not deliver instant results, but improvements should be noticeable within two months. For men aged 18 - 49 years. 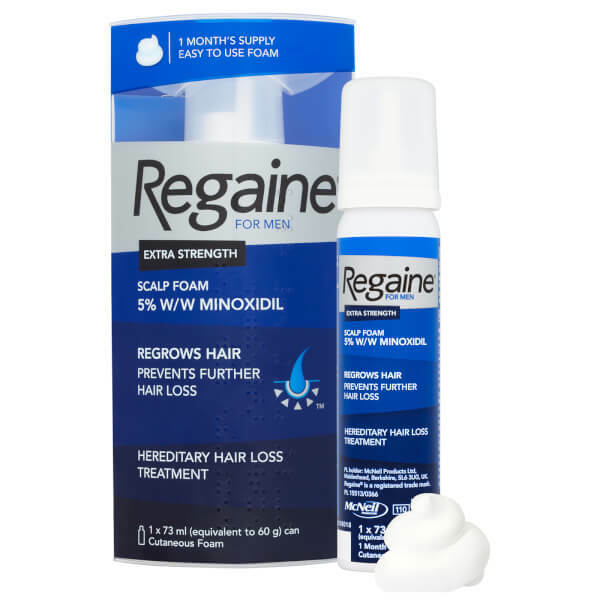 Your hair and scalp should be thoroughly dry before using Regaine® for Men Extra Strength Scalp Foam. Also contains: Ethanol Anhydrous, Purified Water, Butylated Hydroxytoluene (E321), Lactic Acid, Citric Acid Anhydrous, Glycerol, Cetyl Alcohol, Stearyl Alcohol, Polysorbate 60, Propane, Butane, Isobutane. See leaflet for further information.